Gross Weight (GVWR) 13508 lbs. 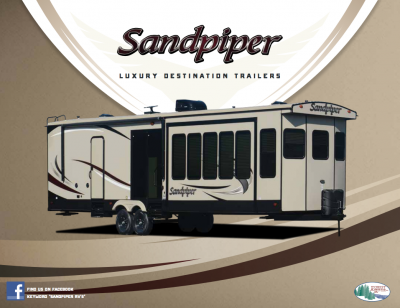 The 2019 Forest River Sandpiper Destination 401FLX is ultra-reliable and built for the long haul! This Park Trailer is the perfect choice for camping lovers, with its abundance of wonderful amenities! You can find this model and other quality RVs at wholesale prices at National RV Detroit! We've been guaranteeing the nation's best prices since 2008! You can visit our site at 44700 N I 94 Service Dr Belleville Michigan 48111, or we can bring the Sandpiper Destination 401FLX to you with our 24/7 delivery service across North America! So give us a call today at 734-439-3400 to start your RV adventures! With its GVWR of 13508 lbs. and hitch weight of 1508 lbs, this RV can travel across the country without any issues! For some much-needed shade, pull out the 17' 0" awning with ease! At 40' 7" long, and 8' 0" wide, with 3 slides, there's great living space inside! 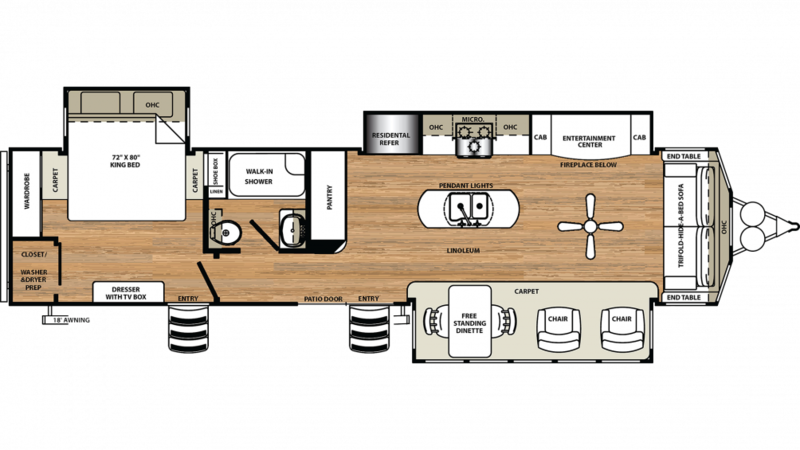 There is so much living area thanks to 3 slides that open up to maximize the interior space in this 40' 7" long, 8' 0" wide, Park Trailer! With the modern 15000 BTU a/c unit and the 35000 BTU furnace, the temperature inside this RV will always be just right! Your nights will be as enjoyable as your days, thanks to the master bedroom! It sports a roomy and comfortable King bed, so you'll stretch out and fall asleep fast, and wake rejuvenated and ready for the new day! This RV has sleeping accommodations for up to 4 people! Outdoor fun on the road always works up an appetite! Satisfy your family's hunger morning, noon, and night by cooking up delicious meals in the roomy, modern kitchen! You'll make steak, chicken, fish, or pancakes, bacon, eggs, and more on the convenient 3 burner cooktop. Stock your favorite meats, veggies, cheese, and cold beverages in the 20.00 cu. ft. refrigerator! You'll be able to clean, drink, and cook with plenty of clean, fresh water from the 60 gallon freshwater tank! With the full bathroom, you'll be able to enjoy the use of your own Porcelain Foot Flush toilet and shower! With 60 lbs. of LP tank capacity, you can enjoy hot, steamy showers any time of the day! You don't have to deal with used water and waste while you're having fun vacationing, thanks to the 156 gallon gray water tank and the 52 gallon black water tank!